Fender's FA-125 is a visually stunning entry-level guitar with a budget-friendly price. 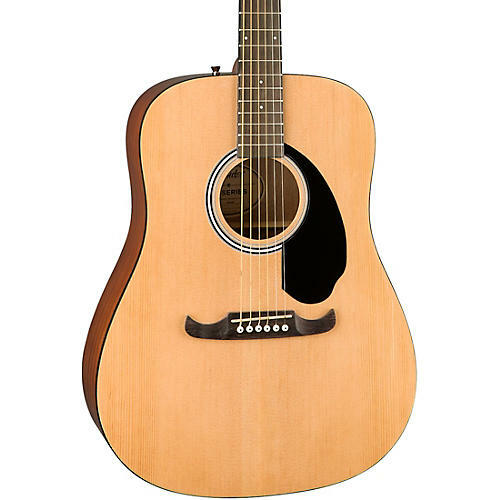 It has a quality laminate spruce and basswood construction with a modern Fender 3+3 headstock and stylish Viking bridge which combine to create an easy-playing instrument that sounds great. Beginners and developing players will appreciate this guitar, which includes a mahogany neck to gives the guitar lively tone and a smooth playing feel.